Representatives from Public Safety & the Alarm Industry collaborated to produce the new model and guide. If you are a member you can click here to download the model and guide. 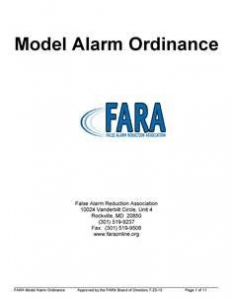 If not contact us to receive a free copy of one or more of our model ordinances.